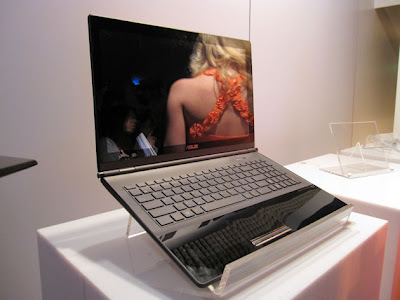 ASUS has announced the U and UX series of ultra-thin laptops, expected to launch sometime in Q2. 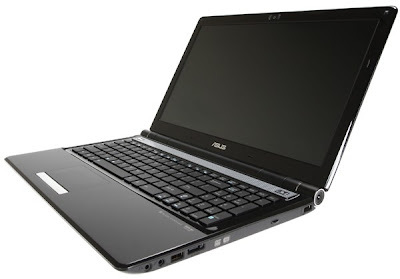 Both feature an illuminated chiclet keyboard and auto-adjusting LED backlit display. The U series also features a 15.6-inch glossy LCD and a touchpad that uses progressively fading lights to follow your fingertips. Under the hood, there's an Intel Core 2 Duo processor, NVIDIA GeForce G105M, up to 500GB HDD, and Altec Lansing speakers with SRS true surround sound. We don't have nearly as much information on the UX, unfortunately, but we do know it's sporting a slot-in optical disc drive. ASUS, a leader in innovative industrial design, today presented the new U and UX Series, a new range of notebooks that celebrate contemporary styling and effortless elegance. Each of them a masterpiece so immensely desirable, the U and UX Series takes modern day computing to the streets, bringing delight to the users' senses and allowing them to work or play in style. The ASUS U and UX Series are designed for the modern individual who accepts no compromise when it comes to exquisite taste in high fashion and possesses an eye for the latest trends as well as the intricacies in design. Reminiscent of the streets of Paris with the evening fast approaching, the ASUS U and UX Series' newly-adopted illuminated 'chiclet' keyboard lights up brilliantly, not only providing users with the ability to type in the dark, but its subtle yet assuring glow also reminds the user of the star studded skies above. AI Light sensor technology intelligently detects the surrounding environmental lighting conditions and then automatically adjusts the brightness or dimness of the LED backlit display to provide a comfortable computing experience even in adverse lighting conditions. These features can be found adorning a softly contoured chassis, shrouded in a sleek and sophisticated glossy LCD lid and supported by a frame inspired by the curvature of a butterfly's wings. The UX Series' strikingly slim profile adds to an impressively minimalistic approach to avant garde notebook design. A slot-in optical disc drive helps the UX Series to maintain its elegant profile, while a contrast of matte and gloss finishes provides a sense of both sophistication and boldness. To further complement the illuminated 'chiclet' keyboard, the U Series sports an equally illuminated and interactive touchpad which sends a trail of progressively fading lights to pinpoint the location of the users' fingertips while delighting the senses. Powered by an Intel® Core™2 Duo processor which provides the muscle for extensive multitasking and productivity, the U Series is equipped with a hard disk drive of up to 500GB, providing more than ample storage for documents and multimedia. An energy-efficient 15.6-inch LED backlit display powered by a dedicated NVIDIA® GeForce® G 105M with 512MB memory provides users with stunning visual performance for presentations and entertainment while utilizing very little power. Combined with Altec Lansing speakers-equipped with SRS true surround sound that provides high definition audio-the svelte U Series is truly an all-rounded performer for any occasion or a night out in town.